Outdoorswoman Cora Parker has bad luck with climbing partners and worse luck with men. After getting her heart broken one too many times, she's given up on finding a partner she can rely on. She's resigned herself to spending her life alone, doing what she loves: climbing dangerous mountains. But this is one mountain-climbing trip that will change her life forever. With a deadly storm lashing the mountain, Cora and Eric take shelter together—and share a night of scorching passion in their remote hideaway. But they're not the only ones caught out by the weather. When Cora joins Eric in a search for a lost hiker, she begins to realize he might be the partner she'd been missing all her life. Will they be able to win the race against time... and find the love they've been looking for? 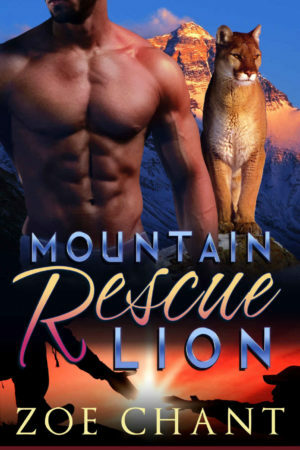 Mountain Rescue Lion is a scorching hot, action-packed, standalone romance. No cliffhangers (except the kind involving actual cliffs! ).